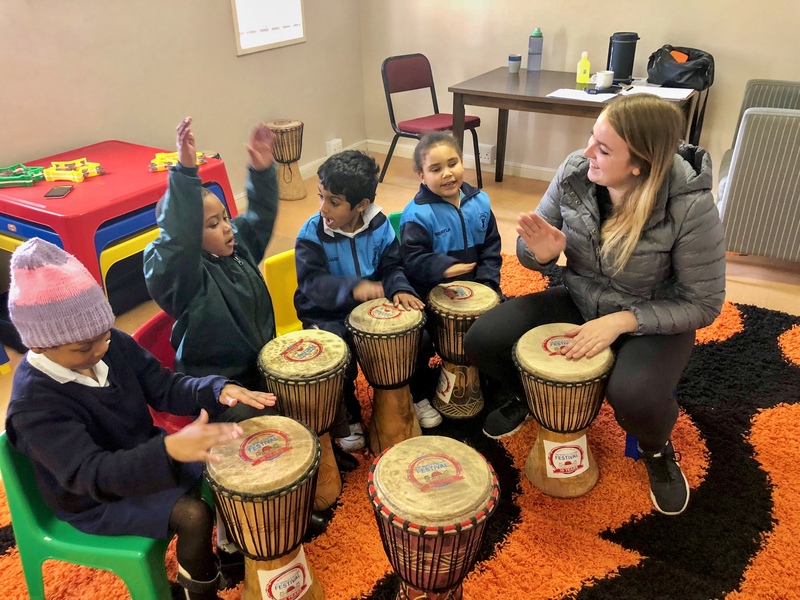 Tory sent us this essay about her experience volunteering in South Africa this summer. Tory is a rising junior at University of Hartford who is double majoring in classical vocal performance and music education. I’ve been home for about a week now and I’m starting to realize how drastically my perspective has changed. First of all, I am MUCH more appreciative for everything. After teaching these kids in South Africa and learning more about what it is actually like to live in the “informal settlements,” I cannot complain about where I live. From when most of these kids were born, all they know is living under a slab of metal surrounded by what seems like millions of people doing the same thing. With the water shortage and the rising cost of electricity, their conditions are worsened even more. Now grated, there are always exceptions. Not every child in that school lives in that kind of place but there are too many that do. A lot of the kids live in the school’s hostel and while that is a wonderful thing to have, these kids don’t get the love and attention they crave. The first day I walked into a classroom, I was tackled by about 15 students just trying to hug me. They were not even introduced to me yet. From then on, I knew working at this school would be a special experience. I began my first week with the music therapist. I had absolutely no idea what I was getting myself into. I had never worked with a music therapist before in my life nor studied any collegiate level courses on the subject; all I knew is that I had an interest. As students came and left sessions, I began to understand how wide of a range there was to treat these children, especially depending on the reason they were referred for sessions. Being a music education student in this setting was extremely difficult. Unlike a regular classroom, we could not specifically instruct the child to play an instrument. It was all about letting the student have a choice. 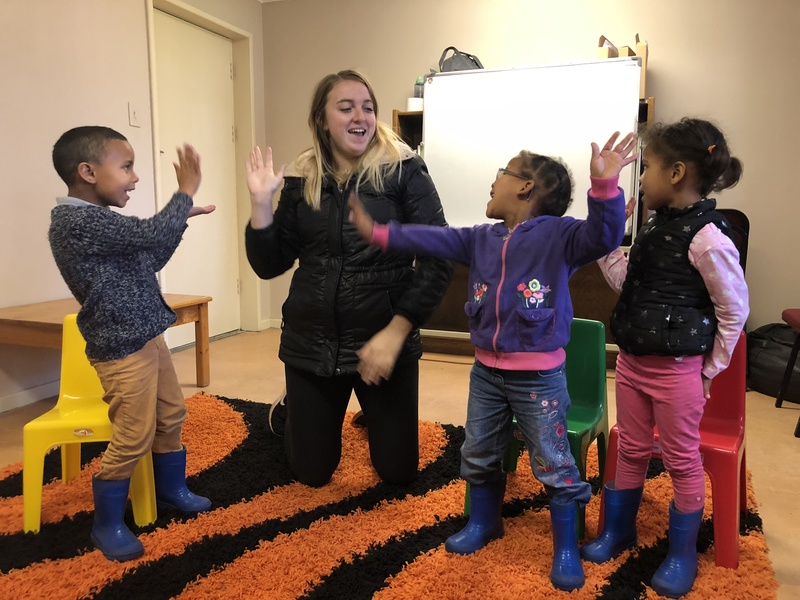 Of course, there was always activities planned in advance but if the child refused to cooperate to the point where there wasn’t even communication, the session would end early, letting the student have the freedom to do everything – even leave the classroom. This concept was challenging to grasp. The music teacher in me just wanted to teach them how to hold the glockenspiel mallets the right way or share basic rhythm patterns but I had to hold back. On Thursdays and Fridays I worked with the general music teacher for ECD to Grade 1. The difference in these two classes were surprising. Although these kids were all visually impaired or fully blind, there wasn’t a lot of precautionary music therapy aspects taken. It was as if it was a normal music class. That’s when I learned that when teaching kids with disabilities, specifically visual disabilities, they do not see themselves as disabled. These children do not know what it is like to have full sight. Since they were born, their sight has been weak so that is just normal for them. Therefore, you do not treat them as disabled. If a child with little to no eye sight wants to walk alone instead of holding your hand by his side, you have to let him. These kids need freedom to explore the world by themself just like any other kid would do. Of course, I would always be watching and telling him what was in front of him but nevertheless, he was walking on his own. This turned out to be the same in music. The rumor that visually impaired kids have more music talent is completely false. Yes, the skills will improve faster because their hearing senses are heightened but that doesn’t come naturally. These kids are currently in the middle of being trained to listen for their surroundings. 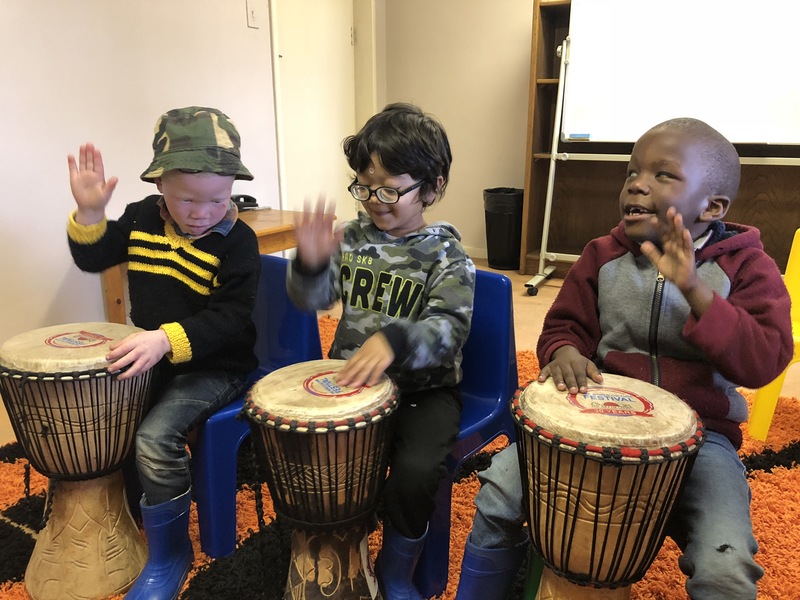 Their hearing abilities are not at it’s best yet which means they’re learning at the same pace as any other kid learns music. Additionally, not all blind kids even like music. I learned that because someone is blind does not mean it takes away their sense of preference. Just like any other student, some kids prefer sports or art. This means that you have to grab their attention. Unfortunately, I could not do so by using songs from their main cultures in South Africa (Zulu, Xhosa, Ndebele, Swazi, etc.). These cultures have amazing musical backgrounds with beautifully meaningful songs but when there is a group of students with various cultures, one most likely will make a racial remark about another child’s cultural music when done. Sadly, this means that the main use of music is taken from other cultures outside of the country. Overall, this experience changed a lot for me. I am extremely more clear about what goals I’m working towards now and I finally feel like I’m in the right mindset. While college is great, there are some aspects that can be mentally toxic. Whether it’s socially or musically, I’ve always struggled to find the mental balance. After being away for over 3 months, traveling to 11 cities and 7 countries, I feel like I am grounded. I know what I’m working towards and I know (for the most part) how I’m getting there. I’m learning to be less stressed and more productive and I really couldn’t ask for more right now. I’m so happy I took this journey and I cannot wait to see where the next one takes me.